Come join us to create this adorable quilt. The strips radiate brilliantly from a center star. This quilt works with modern fabrics, or scraps - you get to choose! 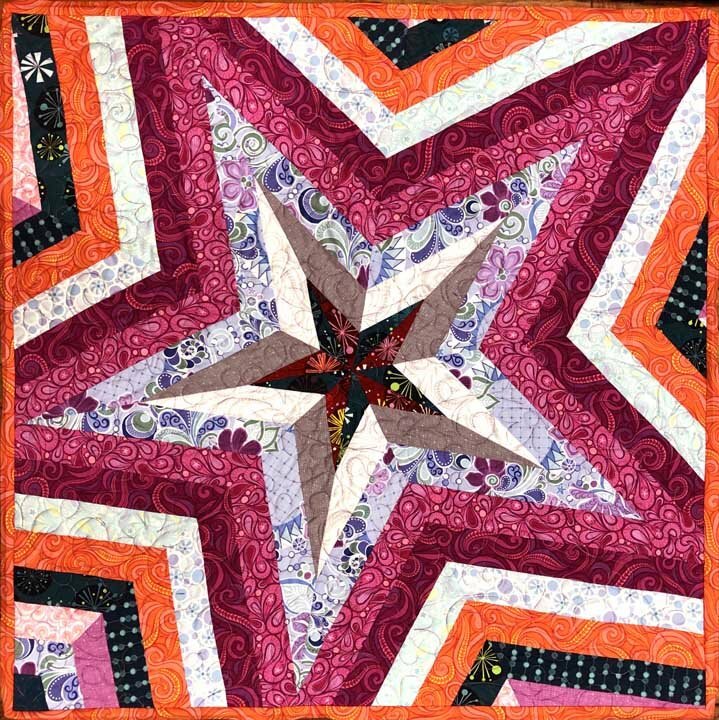 Vickie's instruction, which supplements the pattern instructions and paper pattern templates, allow you to make a great-looking quilt. NOTE: The date of this class has been changed. This is the correct class date and time. Hope to see you there!